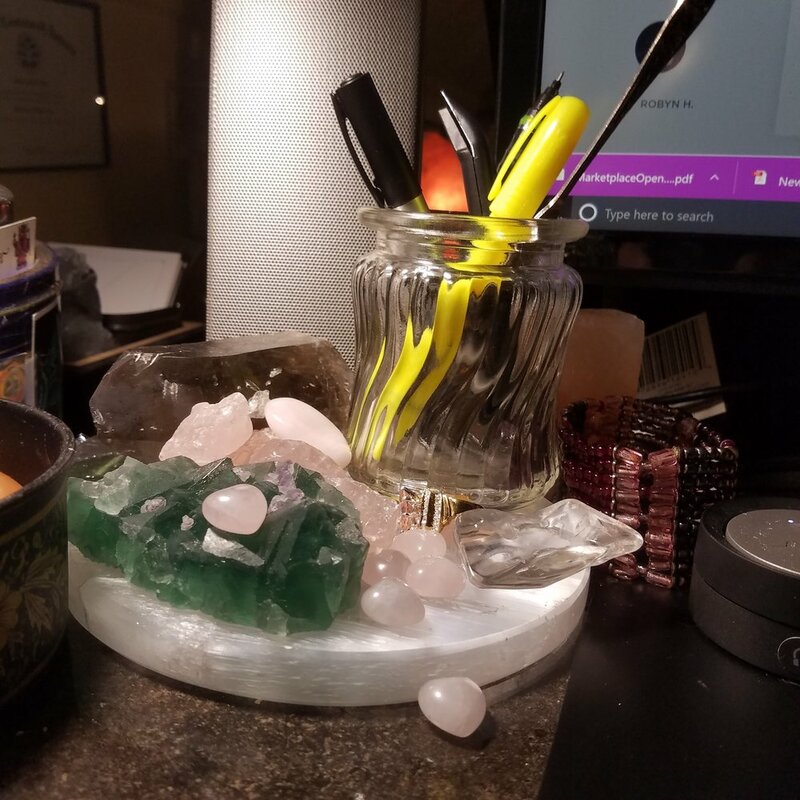 It's just a peek into a corner of my desk and one way I use crystal energy. I have a large smoky quartz crystal (in the rear) to help keep me grounded. The luscious green fluorite is organization and focus. Rose quartz rough chunks and polished mini-hearts are for compassion in all my dealings with people. Polished quartz for energy and channeling the information I need to me. The white selenite plate under the other stones--and my pens!--is for clearing and energizing all of them, plus keeping my angels nearby.